Annual Meeting 2018 – Sunday, January 28, right after church. We will vote on the 2018 budget and the Leadership Team. The church is providing a soup lunch prior to the meeting and there will also be a youth appeal for funds for their CHIC trip in July. We will be giving our volunteers a break from serving and will return to our regular 10 am worship on Sunday, January 7, 2018. Fall Festival – Sunday, October 8, noon to 2 pm at Frontier Ranch at Mission Springs Conference Center. There will be a taco cart, bounce houses and a dessert potluck. Please bring a dessert to share. Suggested donation $5/person to cover costs. Faith Communities Shelter – Saturday, October 21, 5:30 pm, St. Philip’s Episcopal Church. Join Pastor Jeremiah in serving dinner to 16-20 homeless individuals before they are housed overnight at St. Philip’s church. Congregational Business Meeting – Sunday, October 22, 11 am, in the sanctuary. Members, please plan to attend. Club 4-5 – Youth Group for grades 4 and 5 will meet Saturday, October 28, 4 pm, at church. Sunday, September 24, 11 am, Children’s Ministry Volunteer Training in CE Bldg. Worship Service Time will change to 10 am on September 3. The Adult Bible Study will start up with an Ice Cream Social at the home of Gerry & Shirley Cox on Tuesday, September 12 at 2pm. Gerry plans to review the first 11 chapters during that time. The first lesson, chapter 12, will be on September 19 at 10 am church in the Fireside Room and will meet thereafter on the first and third Tuesday of each month. Please contact Gerry at gerry1c@comcast.net for additional information. Saturday, March 18, 9 to noon. 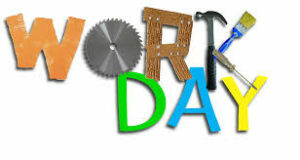 Come to freshen up the property before Holy Week. Bring your labeled tools. Donuts and Coffee provided! 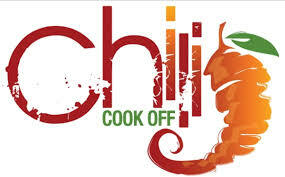 Then on Sunday, March 19, after church, please stay for our chili cook-off! Enter your chili; it’s not too late! Email office@ccsv.org to enter. All members please plan to attend. We will vote on two new leadership team members and on the 2017 budget. 2016 Annual Reports will be available. A soup lunch fundraiser for the summer youth mission trip to Mexico will take place prior to the meeting. Everyone is welcome to stay after church for the soup lunch and the meeting. We will have one Christmas service this year, an all church Christmas Eve candlelight service on Saturday, December 24 at 5 pm. Games, Bible lesson, and snack will be provided. Invite a friend to join us! Adult Bible Study resumes in September starting with an ice cream social at the home of Gerry & Shirley Cox on Tuesday, September 27 at 2pm. Anyone who would like to join in the study of Philippians is welcome. The group will meet thereafter on the first and third Tuesday of each month in the Fireside Room at church at 10 am. (First regular meeting will be October 4). Starting Sunday, September 4, our worship service will return to its regular time of 10:30 am. Thanks to our worship team for leading the Summer Sunday services at 9 am and getting here so early to practice and set up. Many camp staff members were able to join us this summer because of the earlier service time.